Each ADS represents 40 shares of the company’s ordinary shares. Immuron raised approximately $6,100,000 in gross proceeds, which will be used to advance their products, platform technologies, working capital, and general corporate purposes. SRFK successfully advised the process by which Immuron listed its ADSs and warrants on NASDAQ under the symbols “NASDAQ:IMRN and IMRNW” respectively, which began trading on June 9, 2017. 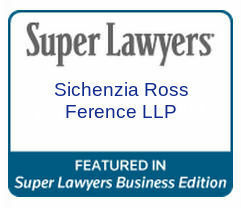 The Sichenzia Ross Ference Kesner LLP team was led by Partners Gregory Sichenzia, Darrin M. Ocasio, and David Manno.